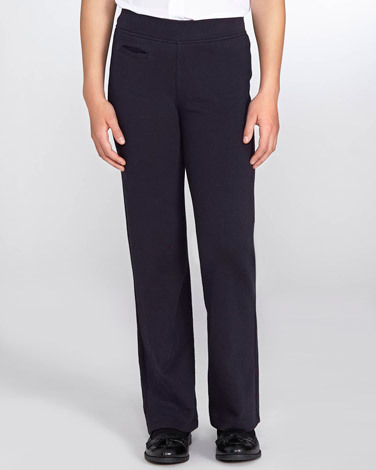 These uniform trousers are made from a durable stretch fabric that helps keep shape during a busy school week. Working a comfortable straight leg and regular fit, these light, jersey style trousers are also easy to care for. An essential addition to any girl’s school wardrobe.